According to leading alternative assets industry data and intelligence provider Prequin, ‘dry powder’, typically defined as capital that has been committed to investment organisations which generally has to be invested within 7 years, has now reached record levels and is estimated to be just over $1 trillion. Tampa-based, full-service data quality, data management and business intelligence provider, DataMentors LLC (www.datamentors.com), has received investment from Wakefield, MA-based private equity firm Brook Venture Partners (www.brookventure.com), along with co-investors Bay Capital (www.baycapllc.com) of Providence, RI and Ride’s Crossing Capital (www.pridescrossingcapital.com) of Wakefield, MA. The middle-market is expected to drive M&A activity through 2014 according to M&A news (www.themiddlemarket.com). In a poll of M&A professionals including strategic buyers, private equity investors, investment bankers / corporate finance professionals, accountants and other advisers, it was highlighted that middle-market M&A, which saw a flurry of deals in Q4 2013, will accelerate through 2014. Benchmark International was pleased to return for a second successive year as sponsors of the Real Deals UK Mid-Market 2014 private equity event. 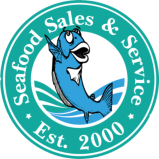 Acting on behalf of Seafood Sales & Service, Inc. (“Seafood Sales”) and its shareholders of Jacksonville, Florida, USA, Benchmark International successfully facilitated the sale of the majority stake in Seafood Sales to Eastern Poultry and Food Distributors (“Eastern”). Whether a decision has been made to sell a business or not it is always beneficial to consider how a prospective buyer would perceive your business. Viewing the intricacies of your business from an outside perspective is typically the best way to identify areas within your business that could possibly reduce overall value upon an eventual exit.